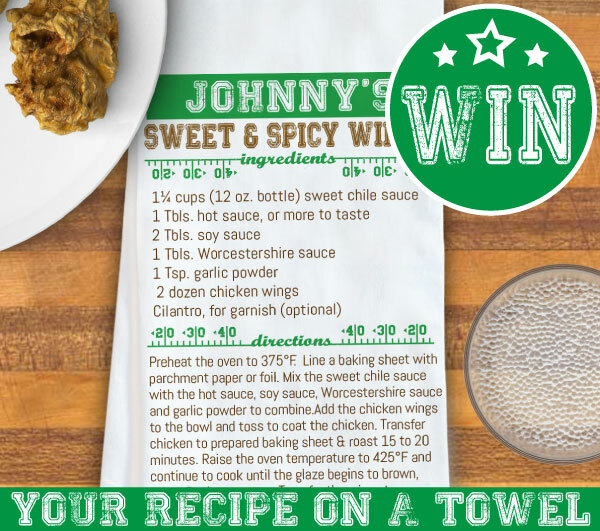 3 Superbowl Game Day Recipes + Win A Custom Towel! Superbowl 52 is just around the corner… whether you’re coming for the snacks and staying for the game, coming for the half-time show and staying for the snacks or some other combo – we’ve got ya covered! Since Da Bears aren’t involved, we’re not as invested as we could be… and our minds have turned to what we’re gonna eat rather than who is gonna win! (And J Tim, of course…) Check out these three rad recipes for a yummy dip, hot wings, and a classic chili! 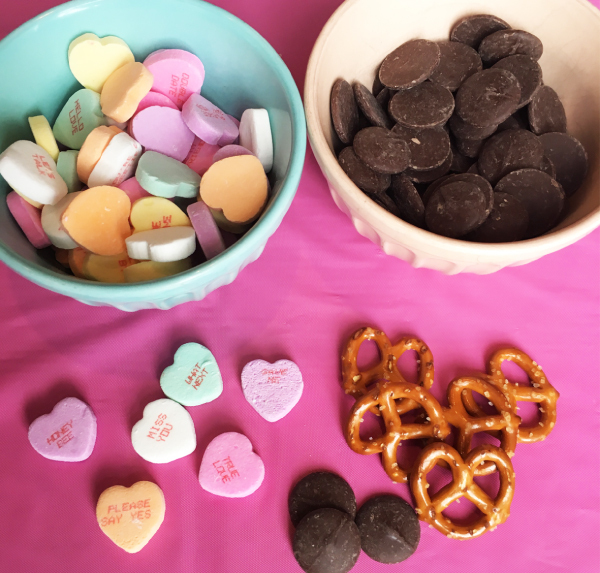 What do you make sure is on your Superbowl snack table every year? Send us your fave recipe to psychobabyonline@gmail.com and we will choose one entry to win their recipe on a custom kitchen towel! Check out all our personalized recipe towels and our football pinboard for even more sport-tacular fun! Watermelon + lemonade = YES! 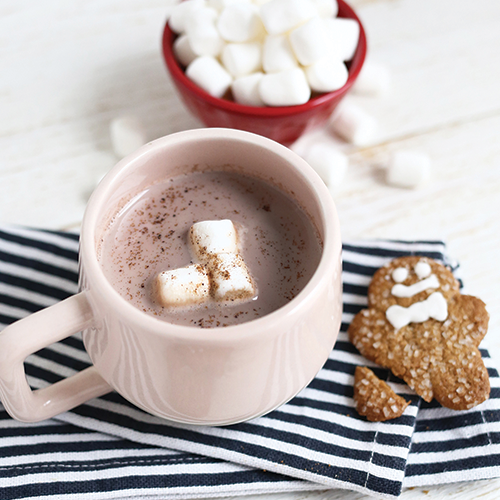 Tis the season for delicious drinks, and they’re even better when they’re PINK! 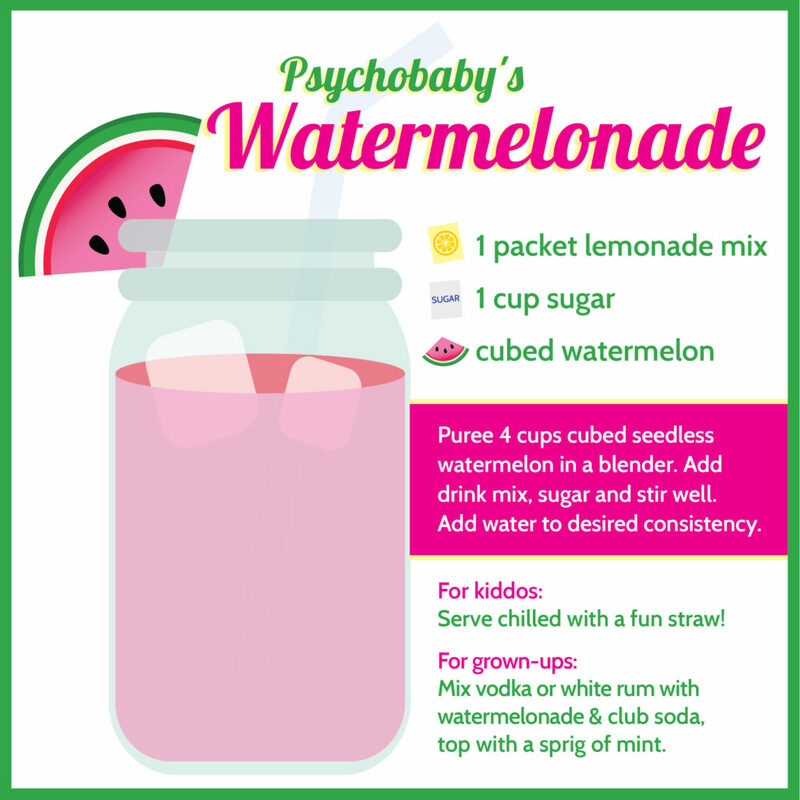 If you’ve ordered with us this summer, you got this fun recipe in your package! 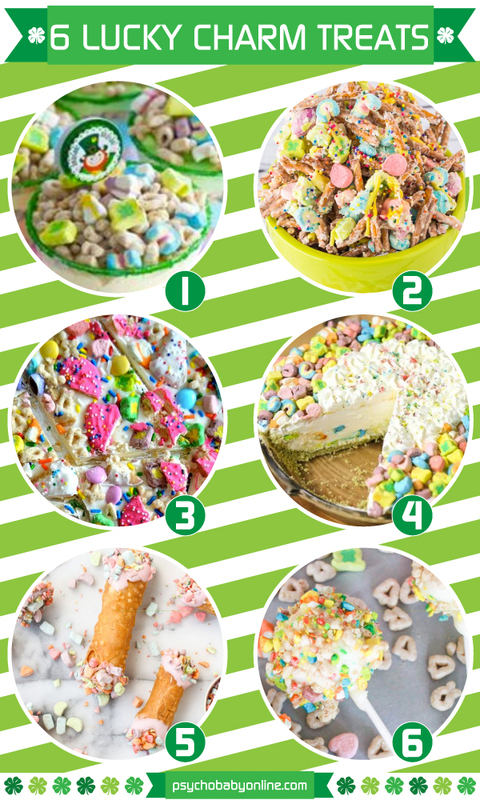 If not, it’s super easy to make and we are BIG fans of the “grown-up” version! 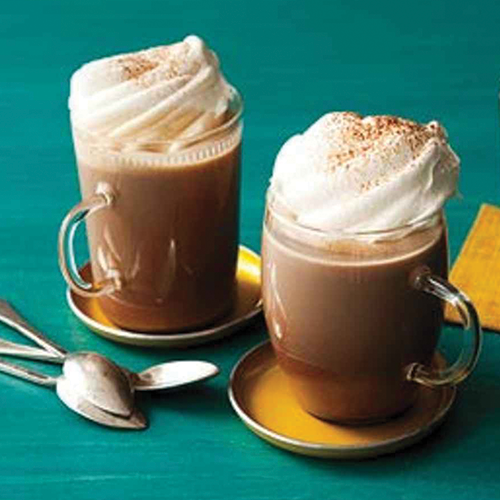 What’s your favorite summer beverage? 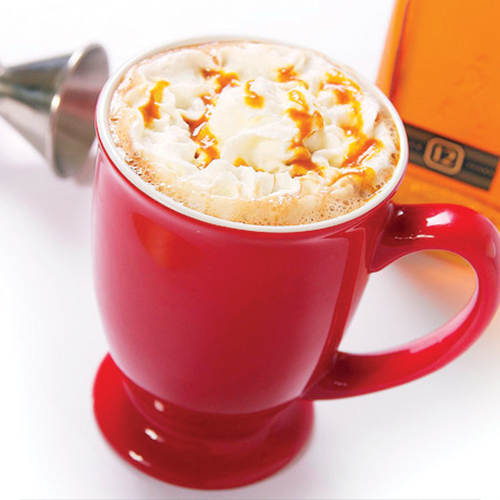 We’d love to hear what cool drink you guys are sippin’ on these hot days! 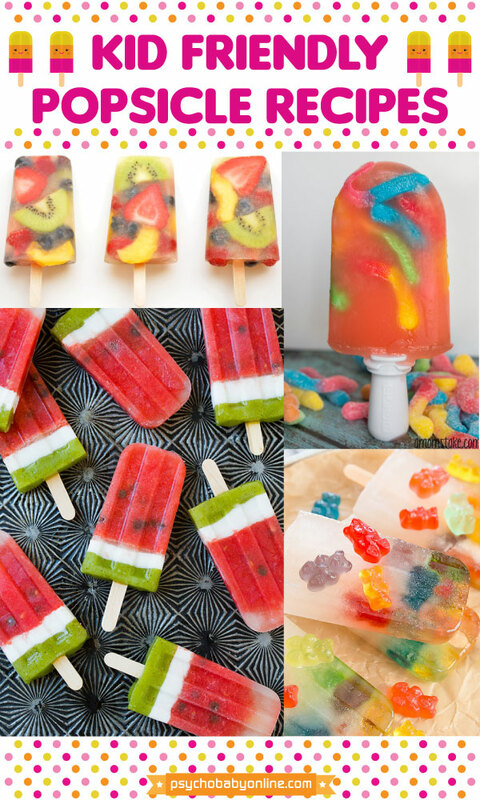 Need some summer snack inspo? 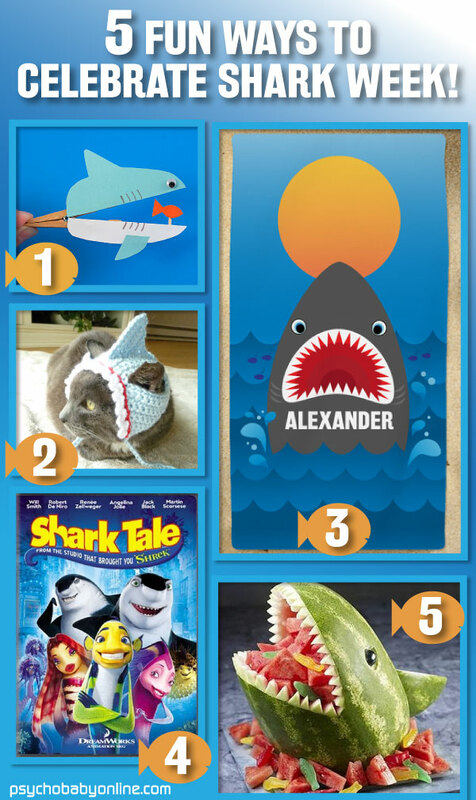 Check out our Summertime Fun & Yum pinboard for more tasty warm weather treats. 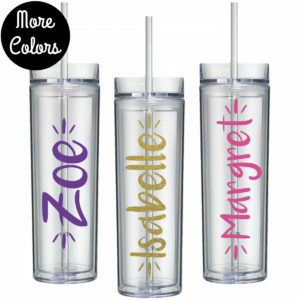 We also just launched a new line of personalized tumblers which are pretty perfect for taking your watermelonade on the go… whether you’re headed to the beach, the boat, or the backyard -these insulated tumblers are a super cute way to keep track of your cup! 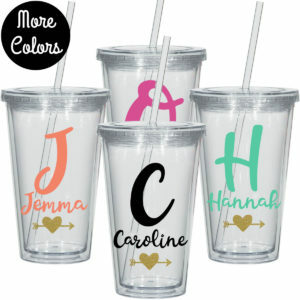 View all our new personalized tumblers here ! 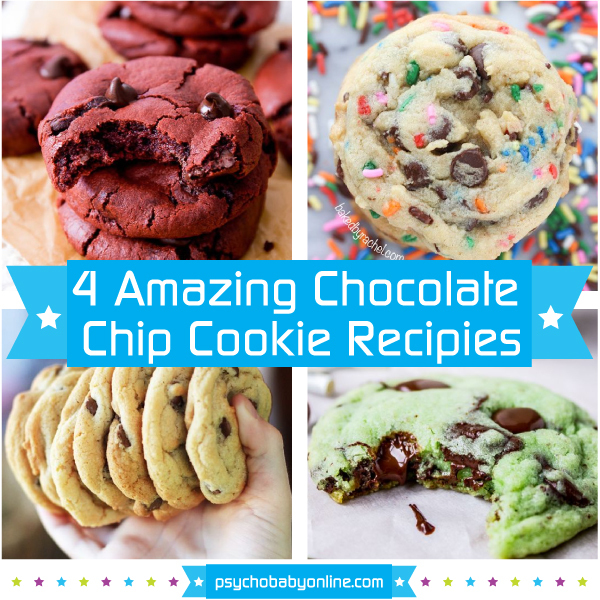 4 Amazing Chocolate Chip Recipes You HAVE To Try! It was difficult choosing only four – there are soooo many amazing variations on the classic choccy chip cookie out there! We picked three fun versions and threw one perfect recipe for a simple, no frills chocolate chip cookie in for you cookie purists. 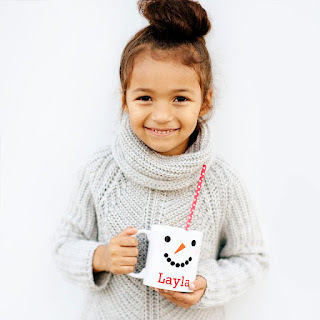 If your little is helping you out with the baking – check out our personalized kids aprons. It can get messy in the kitchen with a kiddo, be prepared! 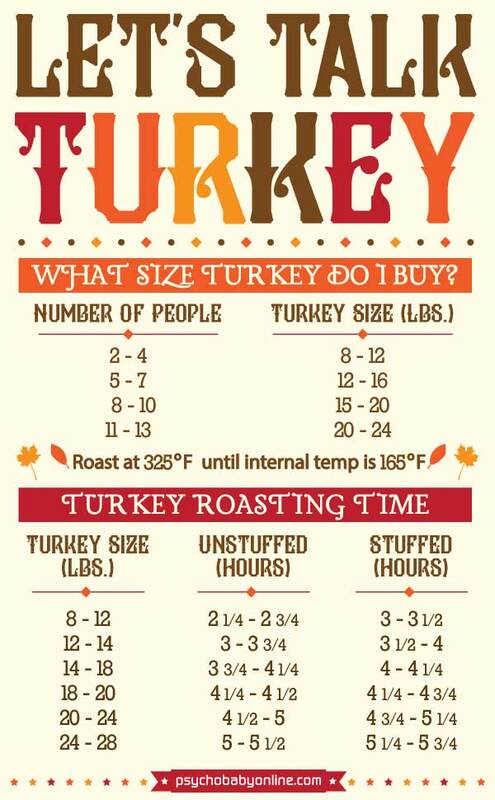 However, if your P’Baby is helping you with the eating (way better, right?!) 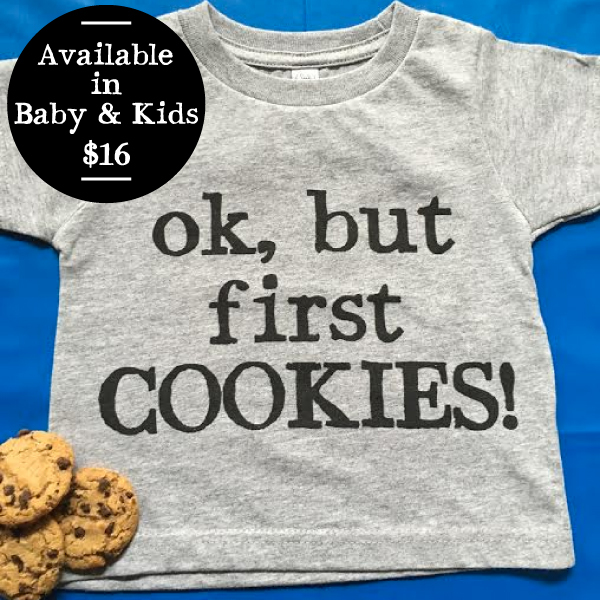 – we recommend this awesome “But First, Cookies” t-shirt (that we would also definitely wear). Do you have a winning recipe? Share it with us! 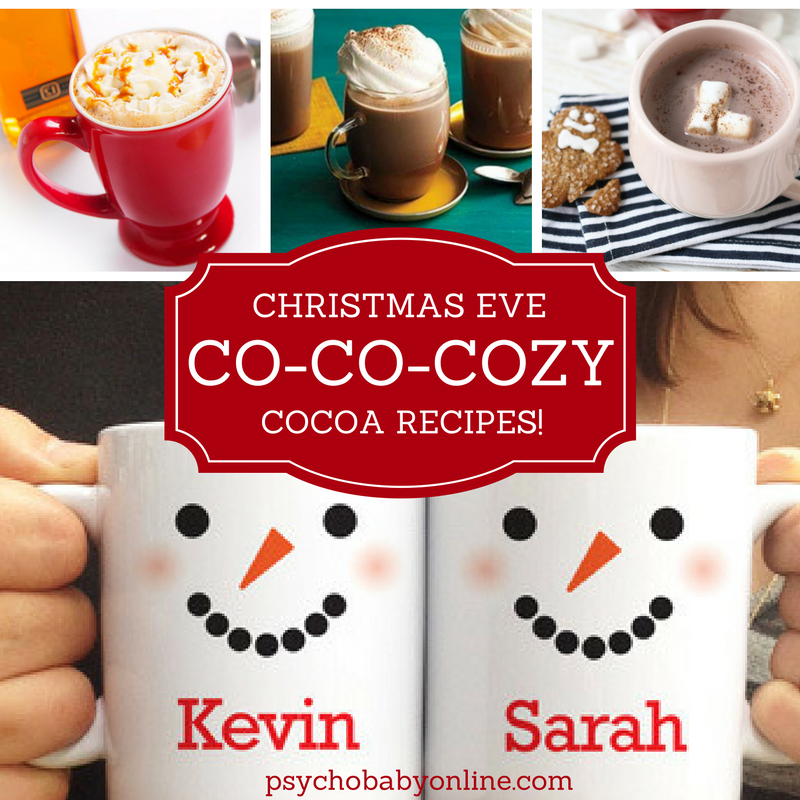 Click here for even more fun ideas for a milk & cookie party! 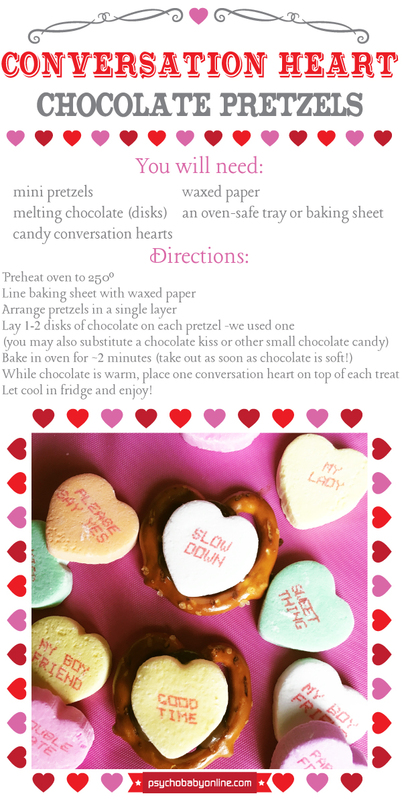 This yummy Valentine’s Day recipe couldn’t be easier to throw together – and it’s amazingly cute! 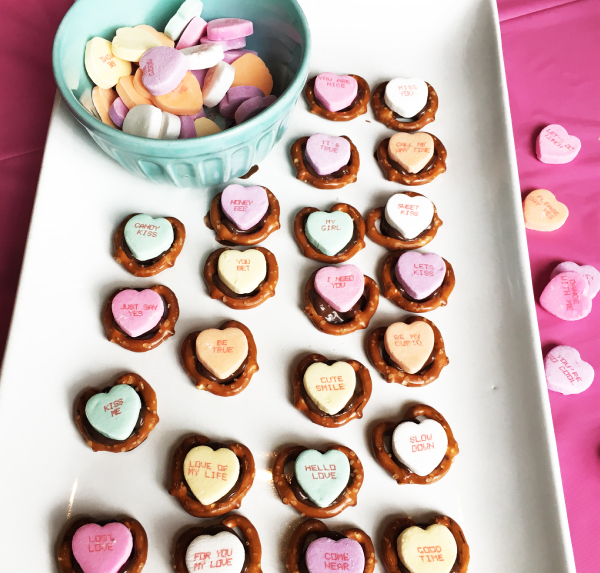 You can have the kiddos help out with the prep before you pop these in the oven, and we’re sure they’ll help out when everything’s finished up and it’s time to nibble! 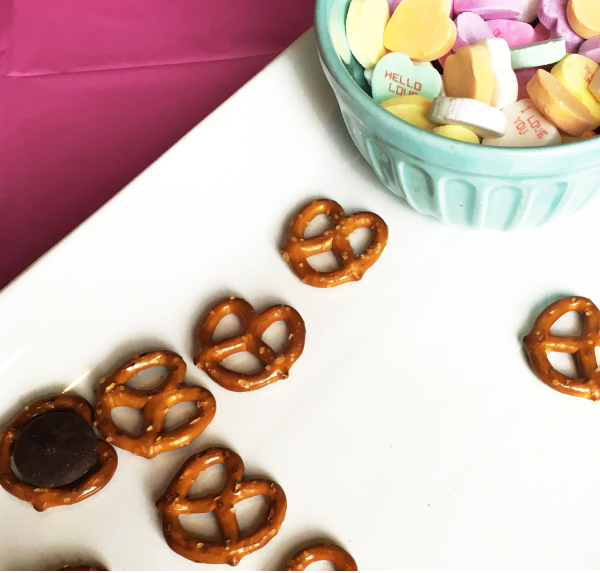 Prep the pretzels and get that chocolate on ’em! 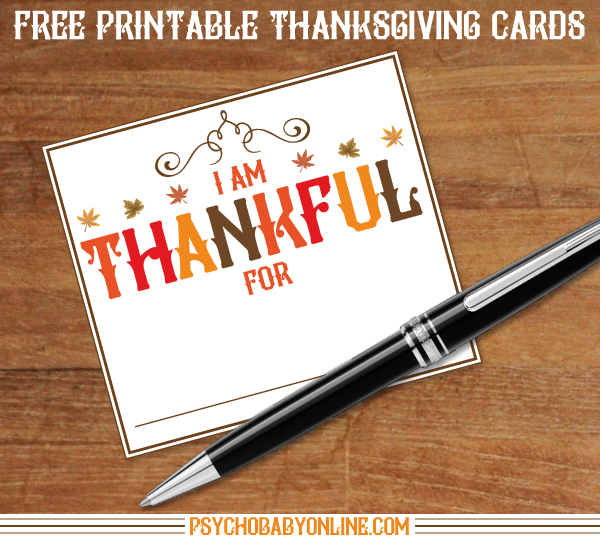 All finished up – ta-da! How cute are these? 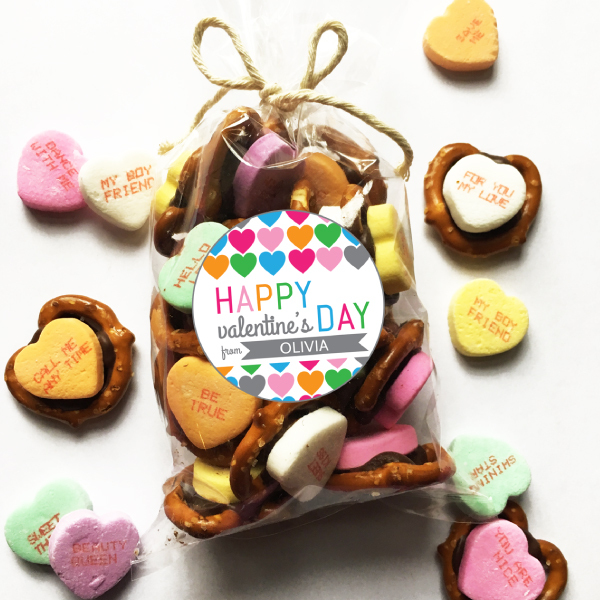 We packaged ours up in some cellophane bags and decorated with our Personalized Valentine’s Day Stickers: Multi Heart for maximum cuteness.